21 Fruit Of The Month Club For A Healthy Twist On Subscription Boxes ! The clubs work as you might expect, providing you with fresh fruit to your door every month. Such a subscription makes for a fantastic treat each month, as you can be certain that the fruit is fresh and of high quality. The clubs aren’t boring either. Many offer a diverse selection of fruit each month. Some even provide unusual fruits, ones that you might not find locally. Either way, you’re getting tasty fruit. You may also get some surprises along the way too, as clubs don’t always provide details of their shipments ahead of time. There’s another advantage too. While you can easily buy fruit locally, you never know how good the selection will be until you get to the store. You might find that they’re out of stock of some items, while others may be bruised. When ordering from a club, you know that they’ll take the time to pick out the best quality fruit. PS. You sound pretty healthy. You'll probably like our healthy snack subscription list. PPS. Did I guess wrong? Well then. Here's the cookie clubs list. Harry & David is one of the most diverse options for fruit clubs. If you’re looking for selection, Harry & David is certainly the company to choose. 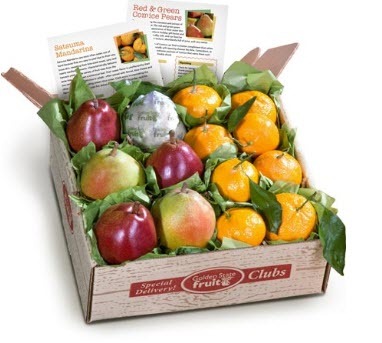 Their Fruit of the Month Club Collection includes multiple different clubs, such as the Signature Classic Fruit Club, the Presidential Fruit Club, the Citrus Fruit Club and the Medley Fruit Club. There are also mixed clubs, like a Fresh Fruit & Cheese Club and a Fruit, Wine & Cheese Club. Prices vary depending on the club that you choose, as do the characteristics of the program. The smaller clubs are often around $69.99 or $79.99 per month. Larger or more unusual ones are often $119.99 or more. For example, the Presidential Fruit Club starts at $129.99. 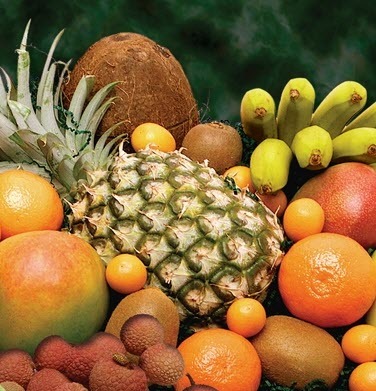 It focuses on exotic fruits and varieties that are uncommon locally. While the clubs are different, they have similar styles. They tend to have monthly schedules for fruit delivery, with each month offering a new fruit type or combination of fruits. 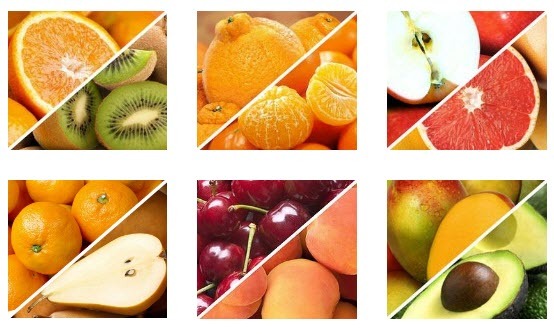 Most clubs provide only 1 or 2 types of fruit per month, rather than a selection. This club provides 5 pounds of fruit, including exotic and traditional options. Great Clubs of America offers another angle for a fruit club. The subscription provides 5 pounds of fresh fruit, in a variety of different types. 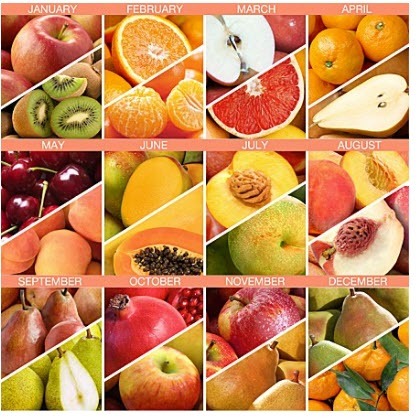 While the exact selection of fruits varies from month-to-month, you can expect examples like pears, tangerines, pineapple, mangos, papaya, peaches and much more. The style provides a fantastic experience. It also gives you a surprise every month. Your subscription also comes with a newsletter called Fruit Expeditions. 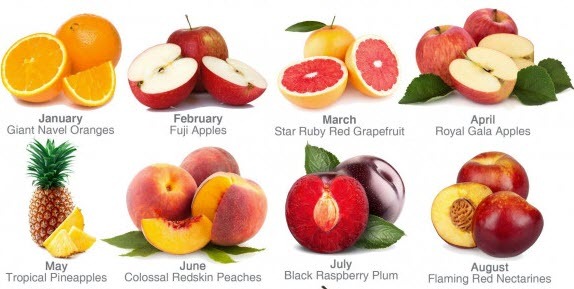 This provides details about the fruit for each month, along with other interesting information. Membership costs $37.95 per month. This stays the same for most membership durations (although you do save $50 on a 12-month membership). You can choose the subscription length. Your options are 2, 3, 4, 6 and 12 months. This flexibility is nice and it’s more than most other clubs offer. There are 6 fruit subscriptions to choose with this company. A Gift Inside has 6 different fruit related clubs. The DeLite Monthly Fruit Club starts at $53.20 (for 2 months). It contains 3 pounds of fruit per month. Each month offers 2 different types of fruit and you get to select which type you want. The Premium Monthly Fruit Club is a larger version, offering 4.5 pounds of fruit each month. It starts at $69.80 (for 2 months). This time you can choose either of the 2 fruit types each month or a combination of both. There is also a Fruit Bowl Mix Club. It starts at $104.70 for 3 months. It contains a 4.5-pound assortment of fruit each month. The first month comes with a fruit bowl too. The next clubs all contain fruit and another type of item. One features organic fruit and snacks, while the others feature fruit and cheese. All of the clubs are fantastic ways to make sure you get fresh fruit every month. You can simply choose whichever style you like the best. This relatively simple club provides 2 different types of fruit each month. The subscription from Amazing Clubs is less complex than many of the other companies on this list. Amazing Clubs ships out 2 selections of fruit each month. 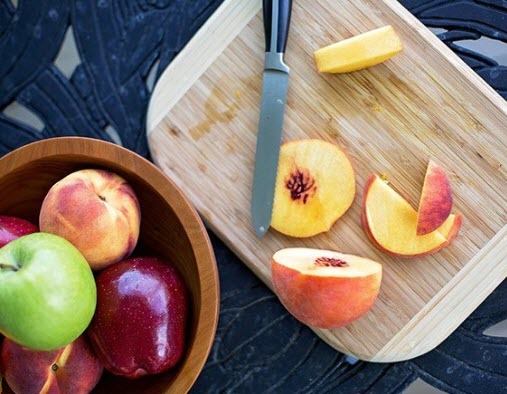 For example, the shipment from October 2018 contained Australian Blood Oranges and New Zealand Jazz Apples, while the June 2018 shipment had Red Flame Plums and Golden Apricots. This style means that you’re not getting many types of fruit at once. That could be a problem if you only like some fruits. On the plus side, there are plenty of unusual varieties in the mix. You wouldn’t see many of these in a subscription that sent a selection of different fruit types each month. The subscription cost ranges from $35.95 per month to $37.95 per month. You’ll be paying the $37.95 price most of the time. This is a reasonable price, as each shipment contains 5 pounds of fruit. 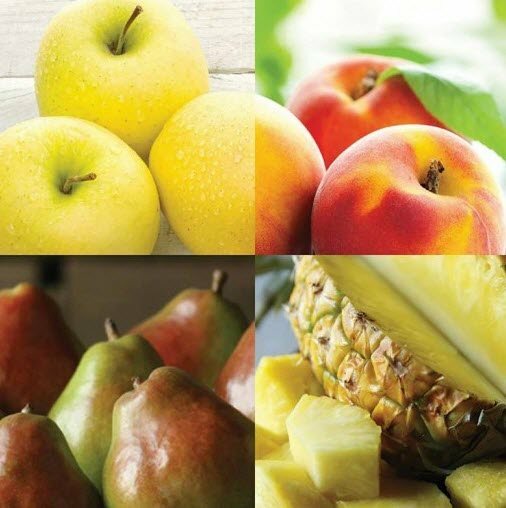 ProFlowers provides 3 fruit clubs to choose from, with multiple subscription lengths for each. A key advantage of the subscriptions from ProFlowers is that you know exactly what you’ll be receiving each month. The main clubs page has a clear image of the fruit (or fruits) that each of the 3 clubs offers. As for the clubs themselves, you can select between the Organic Fruit Club, the Harvest Deluxe Fruit Club and the Harvest Select Fruit Club. As the name suggests, the Organic Fruit Club provides organic fruit. You’re getting a single type of fruit most months, starting with 5 pounds of navel oranges in January. The amount of fruit varies from 2 pounds to 5 pounds depending on the month. You pay $119.99 for a 3-month subscription, $229.98 for a 6-month subscription and $339.97 for a 12-month. 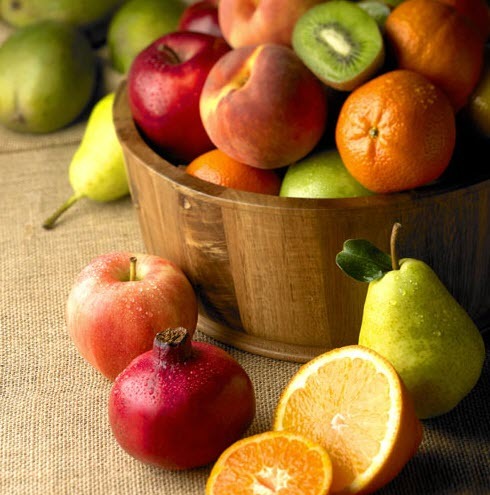 The Harvest Select Fruit Club offers also offers a single type of fruit each month. You’re sent between 2 and 3 pounds with this subscription. It is also a less expensive version, starting at $84.99 for 3 months. The Harvest Deluxe Fruit Club ships out 2 types of fruit per month, offering somewhere between 2 pounds and 5 pounds of fruit. This version starts at $99.99 for 3 months. This fruit club focuses on dried fruit, rather than fresh. Meduri World Delights isn't your typical fruit club. Instead of receiving fresh fruit each month, the subscription provides you with gourmet dried fruit and related delicacies. The style is an effective idea. 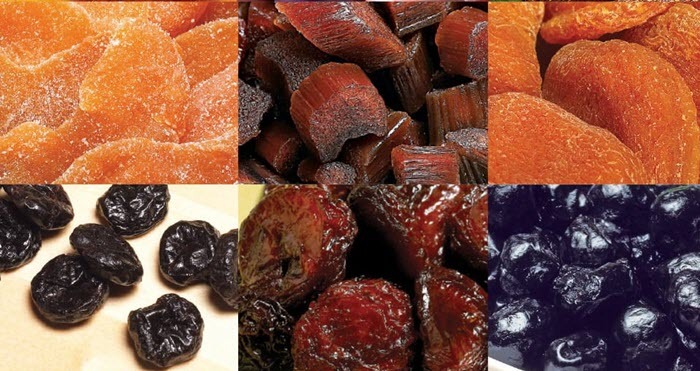 After all, dried fruit lasts much longer than fresh fruit. The fruit is sent out in silver tins, making them ideal as gifts or for your own pleasure. Each tin contains 12 ounces of fruit. In most cases, you're getting a single type of fruit each month, but you may occasionally find a mixture instead. In this case, the smallest subscription option is 6 months. You can choose whether you want the tins of fruit every month or every second month. Either way, the cost is $129.95. There is also a 12-month version. This costs $239.95. Hale Groves focuses on citrus-based fruit clubs, offering plenty of them to choose from. Hale Groves offers an impressive selection of 14 different clubs. Unusually, most of these clubs provide citrus fruit only. For example, there is a Holiday Citrus Club that starts at $79.99 and an All Grapefruit Citrus Lovers Club starting from $74.99. You can also find the All Seasons Fruit Club. This is a more traditional version, providing a different type of fruit each month. Citrus fruit does still feature heavily on the list, but there are plenty of other types of fruit as well. The basic version of this club averages from $30.42 to $33.33 per month, depending on the length that you choose. There is also a deluxe version. This provides some treats along with the fruit. It averages from $31.67 to $38.66 per month. In both cases, you need to sign up for at least 3 months. This company provides a monthly club that has multiple durations and 2 different sizes. 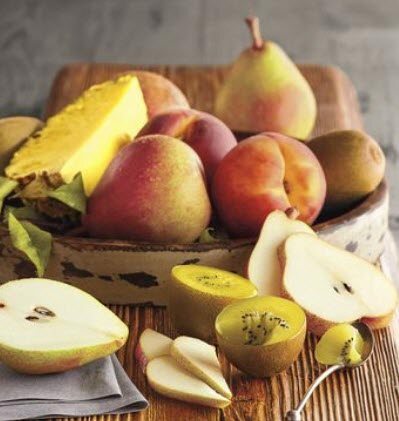 Pittman & Davis follows the typical design of a single type of fruit every month. You can sign up for a 3, 6 or 12 month version. Before that, you need to decide which size you want. There is the regular Harvest-A-Month Club, along with the Harvest-A-Month Lite Club. The main difference between the club types is size. 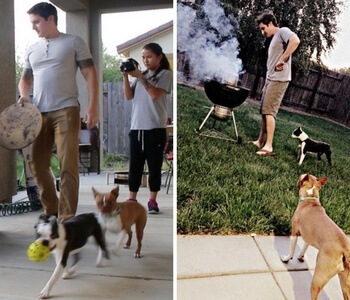 The Lite version is designed for smaller families. However, Pittman & Davis isn't clear about the precise quantity differences. To complicate matters further, the amount of fruit will vary depending on the type featured that month. The regular Harvest-A-Month Club costs $87.99 for a 3-month membership. This averages out to $29.33 per month. You can choose the starting month for the subscription, which will determine the fruit that you receive. The Lite version costs $64.99 for the same duration, giving an average of $21.66 per month. This company allows you to choose between a mixed fruit subscription and one that offers a combination of fruit and treats. 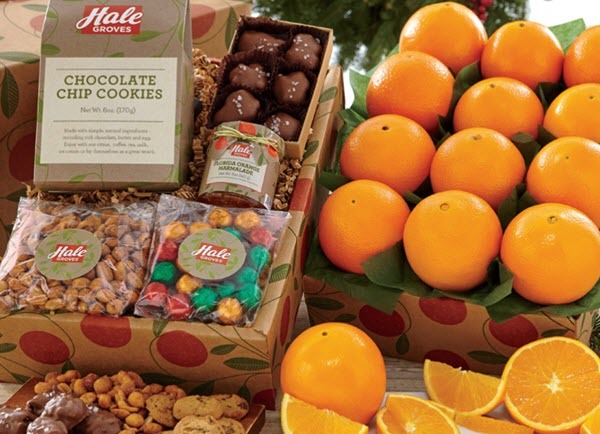 California Fruit Gifts allows you to choose between 2 fruit subscriptions. The first is their Mixed Fruit Delivery. This provides 2 different types of fruit each month. You're typically getting around 4.5 pounds of fruit each month. The other option is their Fruit and Treats Delivery. This time, you're receiving a single type of fruit each month (between 1.5 pounds and 3.5 pounds of fruit) and a snack. The snacks include examples like almonds, dried fruit, yogurt covered pretzels and more. Both club types cost $199.99 for a 3-month subscription, $299.99 for a 6-month subscription, $399.99 for a 9-month subscription and $499.99 for a 12-month subscription. Not only does this company have plenty of clubs, but the clubs are also very different than one another. Frog Hollow Farms provides a selection of organic fruit clubs that you can choose from. 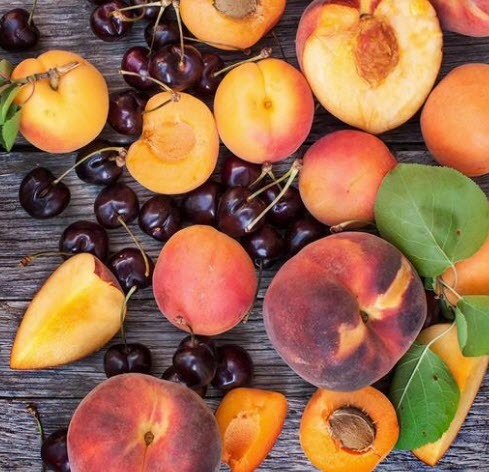 Some of these focus on a specific type of fruit, like a 3-month cherry subscription for $174.00 or a 3-month peach subscription for $148.00. Others are more varied. The 2019 Summer Sampler is one of their more interesting subscriptions. It provides 7 shipments, where each shipment provides a different type of fruit. You can order a 3-pound version of the club for $340 or a 5-pound version for $416. Another option is the Monthly Cornucopia of California. It contains a selection of different Californian fruits each month. A 3-pound subscription for 3 months costs $160, while a 5-pound version is $198. While this club just has a single variation, it is still a good option to try out. Paul's Pick of the Month Club is a simple fruit club. It offers one type of fruit each month. Oddly, there are no details about how many pounds of fruit you're getting each time. You can choose a 3-month subscription for $124.95, a 6-month subscription for $239.95, a 9-month subscription for $354.95 or a 12-month subscription for $459.95. Despite the predictability, there is one interesting feature to highlight. The 3, 6 and 9 month versions allow you to pick which months you want to receive your subscription on. These don't need to be consecutive, which gives you more flexibility than normal. This impressive club provides more fruit than most other options. The Four Seasons of Fruit Club from Pemberton Farms mightn't look like much at first glance, but the club provides at least 6 pounds of fruit every month. Few other subscriptions even get close to this amount of fruit. You're also getting 2 types of fruit each month, which is a nice touch. Once again, you can choose between multiple subscription durations. You'll pay $109.95 for a 3-month version, $199.95 for a 6-month, $279.95 for a 9-month and $359.95 for a 12-month. You can choose your starting month in each case. Daily Harvest provides a box of organic mixed fruit every month. Daily Harvest is a great choice if you want more than 1 or 2 types of fruit every month. The subscription comes with a monthly box of seasonal fruit. 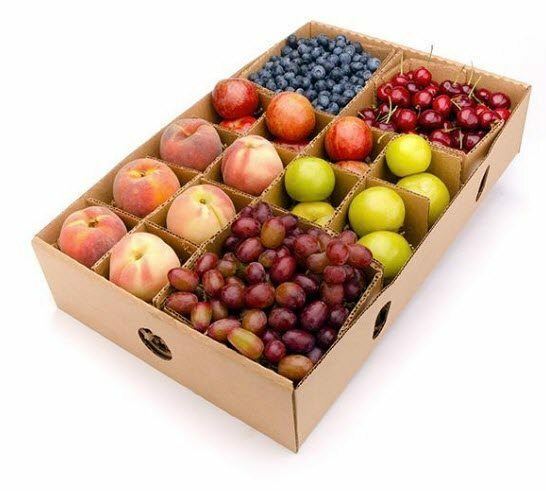 Each box contains roughly 18 fruit, although the number can vary somewhat. You're able to sign up for a 1, 3, 6 or 12 month subscription. In each case, you're paying $40 per month for membership. This simple fruit subscription provides citrus fruit only. The subscription from Indian River Fruit Company provides a 3, 5 or 7 month club that sends you out fresh fruit. An unusual feature is that the club only focuses on citrus fruit. You can receive a type of orange each month (e.g. 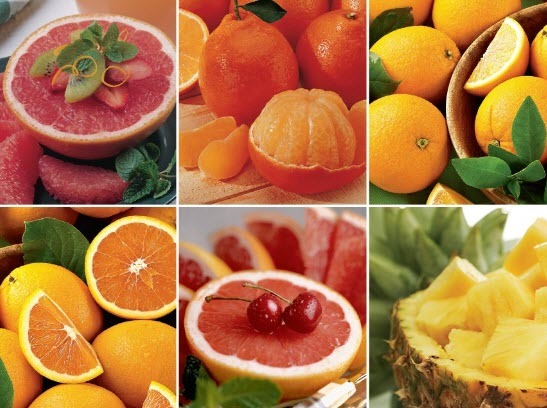 Temple Oranges in February and Honey Tangerines in March) and/or Ruby Red Grapefruit. Being able to order for 3, 5 or 7 months is unusual too. This style may be partly because the club only runs from November through to April each year. As such, your choices for when you sign up are more limited. As for pricing, the 3-month version of the club costs $106.37, the 5-month costs $174.75 and the 7-month costs $243.13. You do also pay $12.99 shipping and handling for each box if you’re in the United States or $26.99 if you live in Canada. The company won’t ship out to Arizona, Alaska or Hawaii. This subscription club allows you to choose the frequency of your subscription and the size of the box. Shipments from the Farm Fresh Fruit Club are made up of fruit that has been picked while it is fresh and bursting with flavor. Like other clubs, the fruit you receive varies by the season. This includes examples like stone fruit and blueberries in the summer, apples in the fall and citrus fruit in the winter. There are 3 subscription sizes to choose from. The Simple 6 version costs $34, the Half Share costs $49 and the Full Share costs $69. You’re able to choose the delivery frequency. This lets you get a box every 1, 2, 3 or 4 weeks. Those totals are discounted by 20% for the first order of your subscription and 15% for every other order. Here’s a good club if you’re looking for less common types of fruit. As the name suggests, Melissa’s Exotic Fruit Club doesn’t focus on your average everyday fruit selections. Examples include cherimoyas, feijoas, plumcots and strawberry papayas. A single type of fruit is sent out each month, starting with baby pineapples in January. The amount of fruit varies by type. Most shipments contain at least 2 pounds of fruit and some contain up to 4 pounds. The subscription costs $123.95 for 3 months, $228.95 for 6 months and $403.95 for 12 months. You can also check out the large range of different fruit gift baskets on the site if the club doesn’t meet your needs. The company also mentions that some states do not allow any citrus to be shipped in. If you live in one of those states, the citrus fruit (blood oranges, in February), will be swapped for another type of fruit. The fruit choice in this club is truly unusual. The Dragonberry Fruit Club ships out 4 pounds or more of distinctive fruit each month. We’re not talking about the style of fruit featured in the previous club either. The Dragonberry Fruit Club includes examples like rambutan, dragon fruit, red fleshed dragon fruit, pink hidden rose apples and chocolate persimmons. This style means you’re receiving fruit that you wouldn’t find in your local store. The fruit is shipped out in a Dragonberry gift box. The gift box is well-designed, making the fruit appear luxurious and high-quality. Of course, the unusual nature of the club is reflected in the pricing. A 3-month subscription costs $297, while a 6-month one costs $540 and a 12-month one costs $990. 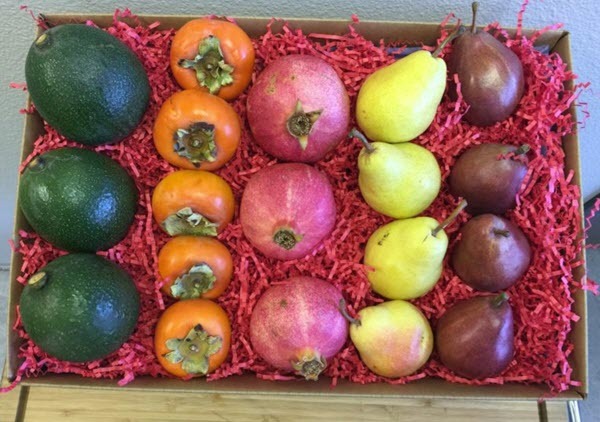 The seasonal fruit boxes from Sincerely Fresh follow a different schedule than most. 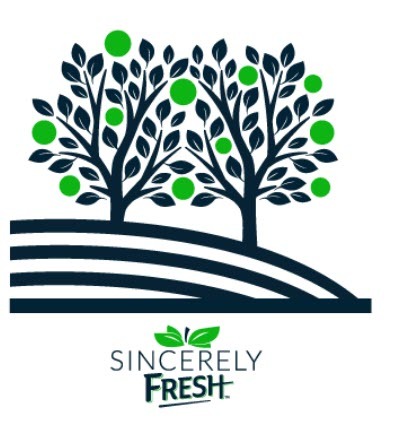 Sincerely Fresh might seem like a typical Fruit of the Month Club at first glance. It includes a 4-month, a 6-month and a 12-month version, which cost $349.99, $499.99 and $999.99, respectively. The difference is in how these are structured. The 4-month club ships out a box in February, July, October and December. Most months contain 12-packs of fruit, while July provides you with 4 pounds (as the box contains cherries). The 6-month version ships out in January, February, June, July, October and December. The fruit includes dark sweet cherries, apples and pears. The 12-month version simply ships out every month. You get 12 pieces of fruit for the months that provide you with apples and/or pears. 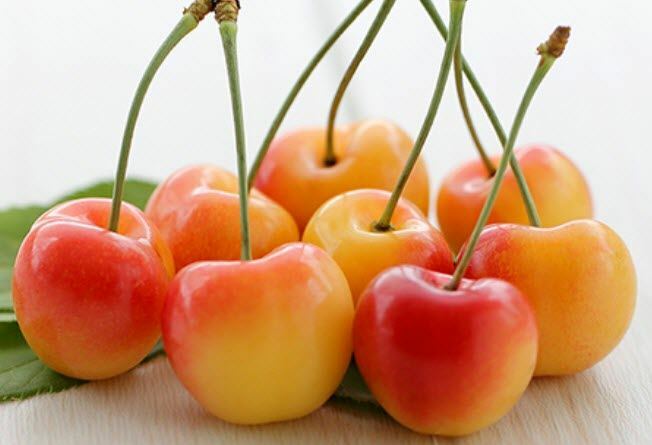 On months that offer cherries, you receive 4 pounds of fruit instead. This company and its subscription program focus on providing high-quality and healthy produce. 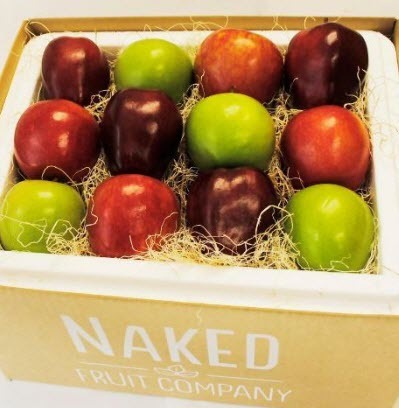 The Naked Fruit Company offers 3 different subscriptions that you can sign up for. The first of these simply sends out a mixed box 12 apples. The specific varieties will vary based on the season and you’ll always be sent an interesting selection. Another option is the Petite Feature Fruit Club. This follows a more familiar style. You receive a different type of fruit each month. Many of these come in 12-piece boxes, but some fruit types will be measured by weight instead, like cherries and grapes. There is also a Petite Sampler Club. This follows the same style while providing less fruit each month. The clubs can all be joined for 3, 6, 9 or 12 months. The pricing starts at $145 for the Apple Medley Lovers Club, $135 for the Petite Feature Fruit Club and $100 for the Petite Sampler Club. There are 4 different styles of club from The Fruit Company, each with multiple subscription options. The Fruit Company isn’t as boring as the name suggests. They actually offer 4 distinct clubs in very different styles. The first is HarvestClub Americana. It starts at $99 and focuses on traditional and popular fruit. There is also the HarvestClub Exotica, starting at $109. It includes more unusual fruits types, like pomegranate and blood orange. The HarvestClub Organic is next. It starts at $114. The club is similar to the Americana version, except that you’re receiving all organic fruit. The final option is HarvestClub Medley. It starts at $109 and includes 2 types of fruit most months. Some of these are common, while others are hard to find. Each club provides multiple options. You can choose the size, between Light, Classic and Grand options. Each size can be selected for 3, 6 or 12 months. You can pick the starting month too. This subscription program provides a more elegant and unusual selection. 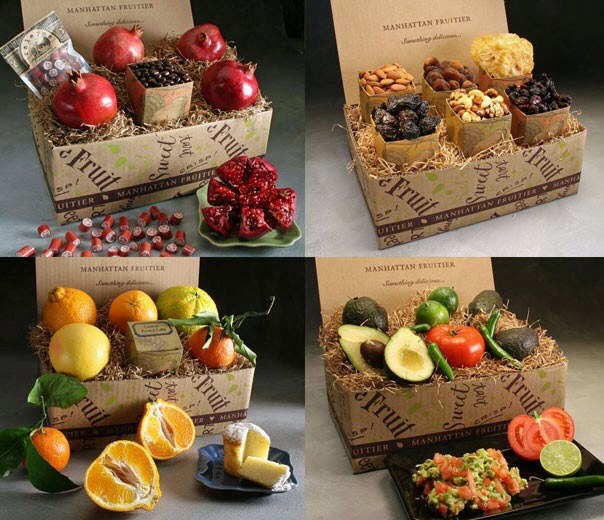 The boxes from Manhattan Fruitier aren’t your typical Fruit of the Month selections. The style is completely different, providing you with gift boxes that contain fruit-themed items. The selection can differ considerably each month. For example, one box contained fresh pomegranates and some pomegranate-flavored snacks, another contained a selection of dried fruit and nuts. This would make for a great gift, simply because it is different. 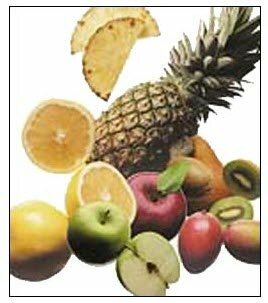 The other fruit clubs tend to be very similar to one another and it is easy to buy fruit locally. In contrast, the combination of items in these boxes is always unexpected. A 3-month subscription to the club costs $180, for an average of $60 per month. A 6-month version is $330, which gives a lower average of $55 per month. Finally, the 12-month version drops the monthly average down to $50 and costs $600 for the duration.